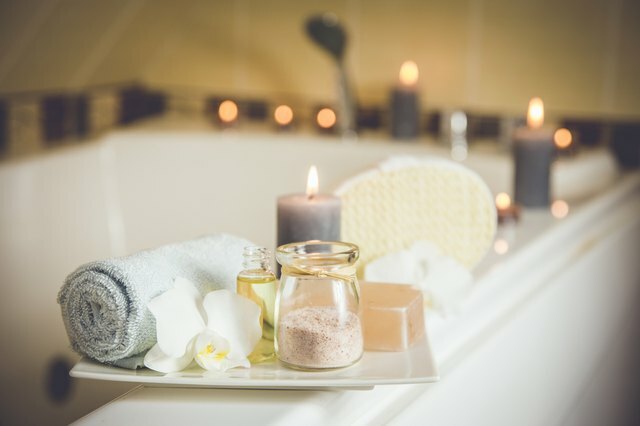 Soaking away stress with a salt bath is the ultimate self-care ritual: There’s little more relaxing than a warm bath, especially after a long day or a tough workout. Sea and Epsom salts can be used for more than just melting stress and relaxing muscles. 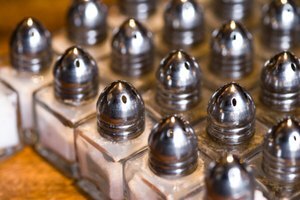 In fact, they’re thought to be detoxifying and can be used also as part of a healing ritual to cleanse the mind, body and spirit. 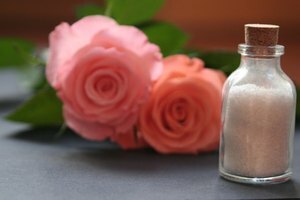 More than just an old wives tale or grandmother’s remedy, taking an Epsom salt bath appears to actually work as a treatment for a range of issues. The use of Epsom salt dates back over 400 years, when an English farmer discovered its healing properties. 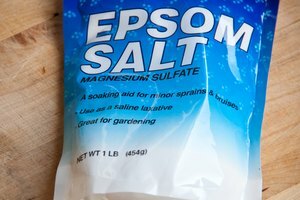 Epsom salt is composed of both sulfate and magnesium (unlike table salt which is sodium). These minerals “draw out” harmful toxins and balance the body. One of the biggest benefits of soaking in an Epsom salt bath is allowing the skin to absorb magnesium. An Epsom salt bath can be used to ease pain and sore muscles, soothe and soften skin, as a laxative, to reduce inflammation and pain of ingrown toenails or splinters, and as relaxing stress reliever. Andrea Barone, a Reiki Master Healer, cultivated Crystal Hills' bath salts to harness the healing energy of crystals. They’re all-natural/organic crystals, botanicals, and oils, each with unique healing benefits (they’re also 100% vegan and organic). Use these types of salt baths as a way to repair, soothe, reduce inflammation of conditions such as acne, burns, eczema, and psoriasis. Crystal Moon Goddess instills beauty, strength, sensuality, and femininity. Infused with Quartz crystal to amplifies energy and harmonize all of the body’s chakras, resulting in a more balanced energy. Crystal Harmony restores inner peace, serenity and happiness. Infused with Green quartz crystal to helps clear and heal emotional issues associated with the heart; by adjusting your vibrational field and transforming negative energies into positives ones. Crystal Dreams brings calmness and peace to encourage a restful night’s sleep. Infused with Amethyst crystal to helps clear your energy field and create a “shield” to protect you from negative influences. Crystal Love promotes pure energy to enhance a state of love, peace, and compassion. Infused with Rose Quartz crystal to help bring love into your life; encourages unconditional love and forgiveness. If you have a standard size bathtub, use 2 cups of Epsom salt (with the option to add sea or crystal salts, as desired), dissolved. Water should be warm, not scalding hot; dissolve salt quicker and more fully by pouring it directly under the spout as water is running. Soak for at least 15 minutes or until water stays warm. For specific ailments (think flu or a cold), add 1 cup of sea salt, 1 cup of baking soda, 2 Tbsps of ginger to the Epsom salt mix. The water should be as hot as you can stand it; soak for 30-40 minutes. You will sweat during this bath, so be sure to stay hydrated and when you get out of the bath, move slowly to avoid feeling lightheaded. Spend your next self-care Sunday soaking stress away in a healing salt bath!